Update your ponytail with this hot new trend seen on the red carpet at the most anticipated film awards show of the year. With a strong center part and voluminous height at the crown, the ponytail is elegant, sophisticated and practical. Perfect for a bride, this low wrapped ponytail is sure to impress! 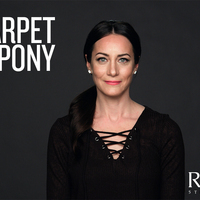 Watch as Redken Artist Chiala Marvici shows you how to get the look in this hairstyle tutorial.